Originally known as ‘the forbidden fruit’, it wasn’t until the 1800′s that our much-loved grapefruit was called just that, due to the grape-like cluster in which its fruit grows. 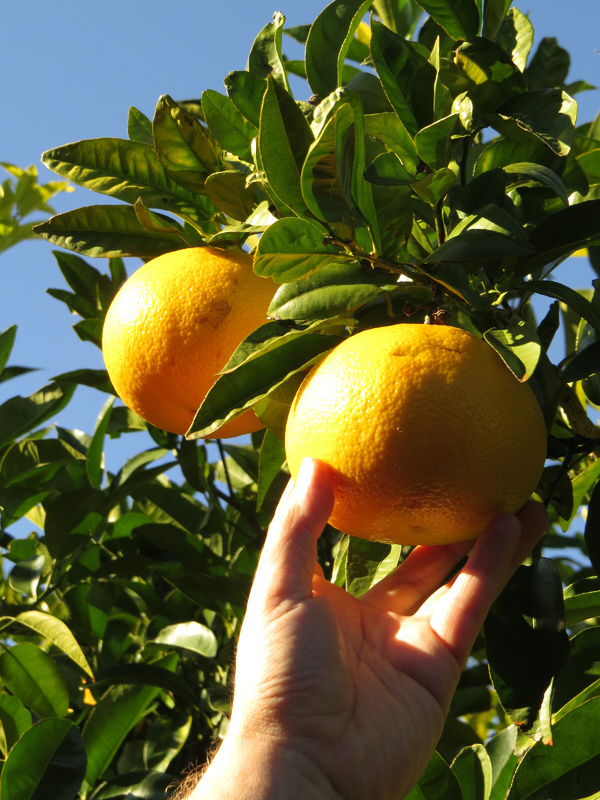 Sweet yet tart, grapefruit are a great source of vitamin C. They are also an essential ingredient in our Breakfast Marmalade and Marmalade & Ginger blends, where we use Gisborne-grown Morrison and Golden Special varietals. 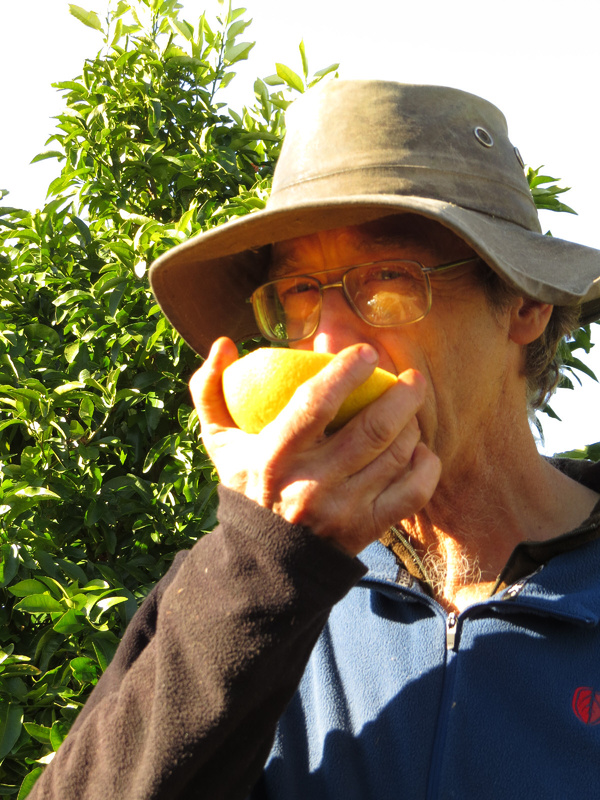 Clive Lewis has been growing grapefruit since 1986, having picked it all his life (his father used to be a citrus orchardist too). He knows a thing or two about grapefruit, naturally. Harvesting season starts at the end of May and typically lasts 12-14 weeks. Being seasonal, grapefruit trees will produce flowers once a year and each fruit must be clipped individually from the branch by hand. In Clive’s orchard, he can expect to pick around 8 tonne of fruit per week. Spare a thought come harvest time: there are 15,000 citrus trees in Clive’s orchard – not only do they need harvesting, they also need pruning manually! After a heavy cropping year the tree will be exhausted and, unless replenished, it will have a ‘harvest holiday’ the following year. Remove any damaged wood and all the wood that has produced crop that season. Prune so a bird can fly through the branches (“a sparrow not a seagull, a bird not a blowfly” says Clive)! Prune for containment of size – so you can manage it, prune easily, harvest easily. Thin the fruit from the branches so fruit won’t bunch together. As with other fruit trees, the best growth is the new growth and it’s the new growth that produces the best fruit. An old 25 year old tree can produce young, vigorous wood with careful pruning and a careful balance of nutrient replenishment (including trace elements and Copper). The ‘skirt’ is the most productive part of the tree. As new branch growth may head skyward, the weight of the fruit will bring the branch down to form a natural skirt-like ring around the outer circle of the tree. True to its name grapefruit bunch together like grapes although thinning will help alleviate this. Bunching is a perfect habitat for pesky Mealybugs, insects that thrive in crevasses created by touching fruit and often on leaves. To the naked eye they may look innocently white and fluffy, however can create large marks on the grapefruit rind (although conveniently, leave the flesh untouched. Perfect Timing: the later you pick grapefruit, the sweeter the fruit will be – however the trick is harvesting them before they fall and bruise (as the skin is very delicate). Bye Bye Whitefly: If you are trying to rid your citrus of Whitefly, try adding a little oil to your spray pack, spray and wait for heavy rain. Often the oil will help the whitefly come loose. The best cure is to control them from the start if you can! 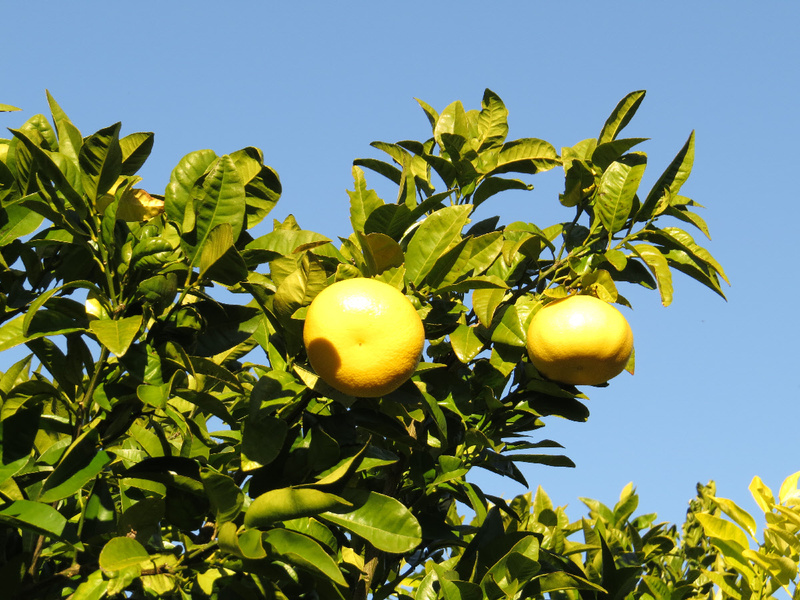 New Planting: A new grapefruit tree may take several years to get established before a reasonable harvest. Remove any fruit set in the first or second years so to direct all its energy into growth.